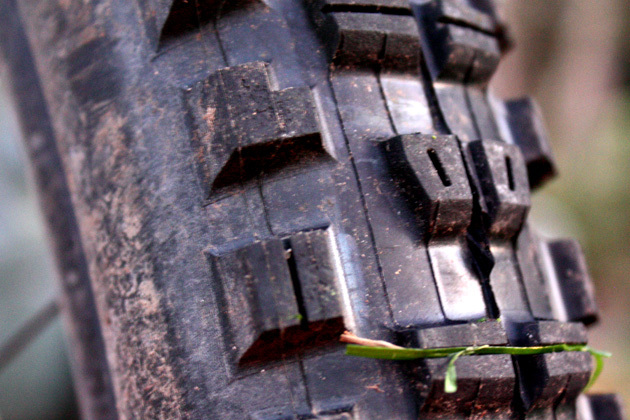 It's that time of year–the time when winter has taken root and the tires I was loving during the summer suddenly seem to have developed a grudge against me. What was once stable and confident suddenly becomes unpredictable and, when leaned over just so, absolutely terrifying. Or to put a finer point on it, you head out one day and rediscover your inner Fred. You, or at least I, begin eating dirt at a dangerous rate. Time to swap those tires. 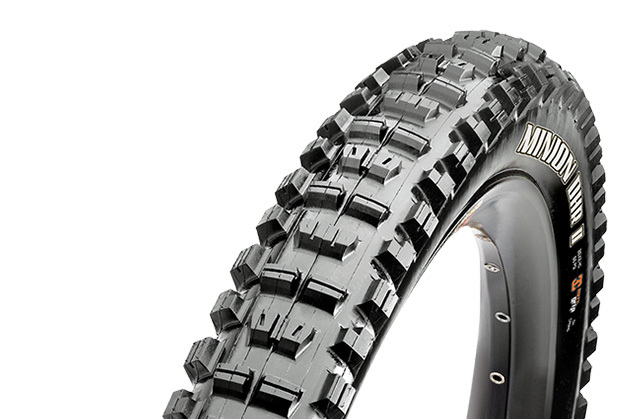 I have a handful of favorite tires, which sounds sorta ridiculous on its face, but bear with me–when it's wet, I'm a Maxxis Minion DHF or High Roller kind of guy. When it dries up a bit, I'm more of a Schwalbe Hans Dampf, Continental Trail King or Maxxis Ardent 2.4 (the narrower Ardents are shite). When summer rolls around, I'm ready to sacrifice a little grip out back for a drop in rolling resistance. Once the mud and ice start coating the roots and rocks, I'm pining for something with better traction. 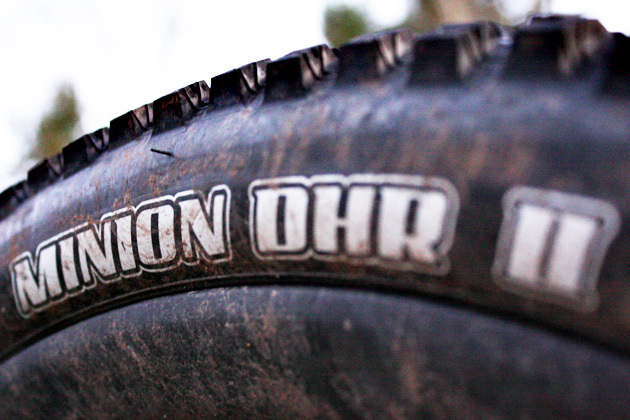 Enter the Maxxis Minion DHR II. I've never made a secret of my fondness for its front-wheel specific sibling, the DHF (Maxxis calls it a front-specific fire, but you can happily run DHFs on both the front and rear wheels). Well, the second generation DHR borrows the basic shoulder knob design of the DHF and adds a whole lot of braking-traction-loving knobs down the center of the tire. Just what the seasons ordered. I usually pair a High Roller with a Minion DHF–maybe because I was scarred by the terrifying experience of riding the original DHR, way back when. The second generation DHR, however, is a very different beast, which is apparent the moment you lean the bike over even the slightest bit: the DHR II digs in and doesn't let go. Cornering grip is un-friggin-real. Straight-line braking traction is similarly stunning. I'm still, in fact, trying to come to grips with how much more traction I have. I'd unconsciously adjusted my riding style to a certain amount of rear-end squirrel factor whenever I squeezed that right brake lever. Now, however, my bike just decelerates quickly. I realize, of course, that this is precisely what squeezing a brake is supposed to do, but apparently. It wasn't happening all that well with my summer tires because now when I hit the brake, I'm decelerating so fast it almost feels awkward. It sounds crazy, but I'm not used to having this much control and predictability from the back of my bike. Take the basic shoulder knob profile from the DHF and add a whole lot of traction-enhancing crown knobs and you get the DHR II–a tire that just digs in no matter how you’re riding it. Now for the not-so-rad portion of the review. All that grip has a bummer side to it: the DHR II rolls slow. It's nowhere near as soul-sapping as trying to pedal a big, mud tire around, but those big blocks with all their strategic siping are constantly deforming and adding grip and doing their best to hold onto Mother Earth, which is awesome when you’re careening down the mountain and sorta sucky when you’re trying to climb up the same mountain. But you know what? It's cold and rainy and muddy and I'll happily take the lack of giddy-up that piggy backs with this tire in exchange for the "I'm King of the Goddamned World!" feeling I have every time I go downhill aboard the DHR II. If I were logging bigger miles this winter, I'd probably opt to reduce the rolling resistance by slapping on the High Roller, a second DHF, a Bontrager G4 or a Specialized Butcher Grid. But for now, I'm digging the DHR II.